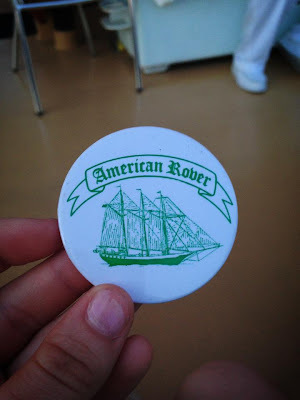 Our good friends from the opera gave us a Groupon for free passes for Norfolk's American Rover. 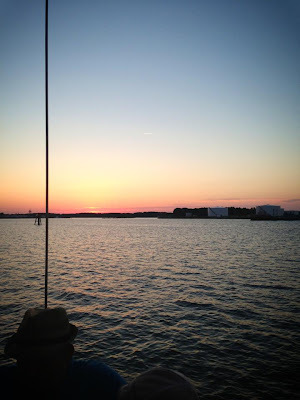 The American Rover hosts a 2 hour narrated sunset sailing cruise in the Hampton Road's Harbor, on a topsail schooner. The night we went was beautiful. We ate dinner from some food trucks before we boarded (delish!) and then had some drinks on board. 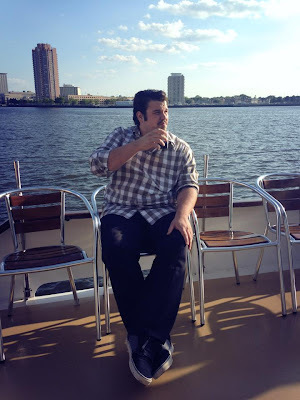 It was nice to just be able to relax and chat in the nice breezy weather. 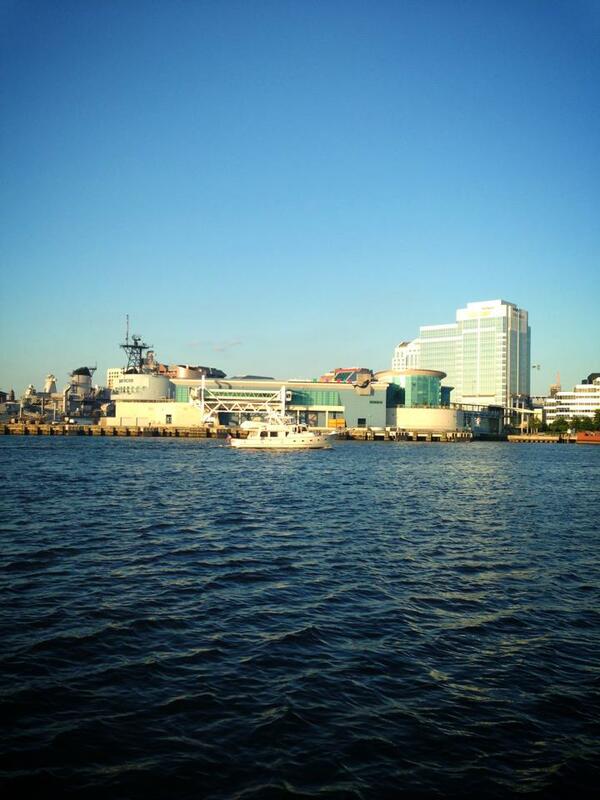 Plus we kept getting to say/sing that we were on a boat. Which lately is my fav saying. 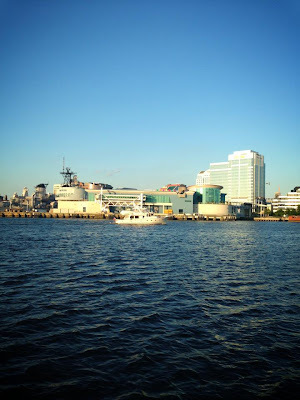 The tour was pretty cool, and gave us an idea about some of the stuff that goes on in the port of Norfolk. I always joke that all the freighters that we see coming in and out of the bay are carrying iPads, but apparently Norfolk is a huge port for coal, coffee and wood. So now I know the freighters are carrying iPads and K-Cups. The night was absolutely beautiful, and it was nice to enjoy some relaxing time with our friends. 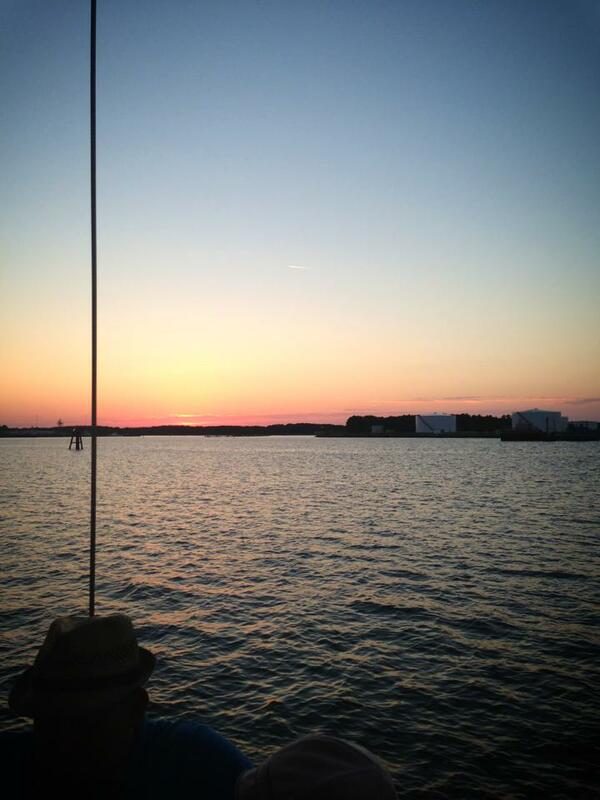 And you can't beat a sunset from the water.